Jeremy Saulnier’s Green Room is one of the best films of the year but I don’t know if I’m ever going to be able to bring myself to watch it a second time. Number one, Green Room is one of the most intense films that I’ve ever seen. Much like Saulnier’s previous film, Blue Ruin, this is a violent movie that never makes violence look fun. The violence here is all too real and the pain that the characters feel is all too real as well. I watched a good deal of Green Room through my fingers, hiding my face behind my hands. Seriously, I’ve seen some pretty gory movies. (I’m an unapologetic fan of Italian horror, after all.) But Green Room still left me shaken. Occasionally, it even left me gasping for breath. It’s just that intense. It’s a film about four people battling for survival and I’m surprised (and a little proud) that I survived all the way to the end. The other reason is that the film stars Anton Yelchin. It was one of the final films that he made before his death and he gives such a likable and committed performance that it’s impossible for me to think about the film without getting a little emotional. Far more than his supporting work in the Star Trek films, Green Room showcased what a good actor Anton Yelchin truly was. It’s impossible for me to think about Green Room without mourning a talent taken from us far too soon. And though it might be difficult to watch the film a second time, everyone should watch Green Room at least once. If you ever wonder why some of us still get emotional when we talk about Anton Yelchin, it’s all there in the movie. In Green Room, Yelchin plays Pat. Pat is the bass player for a punk band called the Ain’t Rights. The Ain’t Rights have been touring the northern part of the country. It’s a low-budget tour, one that perfectly reflects that anti-corporate politics of the Ain’t Rights. For them, the tour means crashing with friends, siphoning gasoline, and doing interviews with underground radio stations. In fact, one interviewer — the rather dorky Tad (David W. Thompson) — arranges for them to do a show at an isolated bar in Oregon. Tad tells them that the bar attracts a rough crowd but that they’ll be okay because his cousin Daniel (Blue Ruin‘s Macon Blair) works there. The Ain’t Rights arrive and discover that the club appears to have a clientele that is exclusively made up of Neo-Nazi skinheads. After some hesitation, the Ain’t Rights take the stage and, for a few brief moments, Saulnier shows them performing in slow motion and those of us in the film’s audience — even someone like me, who would probably otherwise never listen to a band like the Ain’t Rights — are briefly caught up in the joy and excitement of their performance. Green Room is a harrowing and violent film, one that maintains an almost feverish intensity from start to end. Making it all the more difficult to watch is that Saulnier keeps the horror rooted in reality. The Neo-Nazis never turn into cardboard movie slashers. Instead, they are a very real and disturbing threat. (It’s interesting to note that occasionally, a Neo-Nazis will express some doubt about killing the band but none of them have the courage to actually refuse any of the orders that they receive. We often hear that people need to respect authority. Well, Green Room shows what happens when people blindly respect authority to the extent that they can no longer think for themselves.) Though the film may be violent, it never celebrates that violence and when one character does get a chunk of arm chopped off, it’s literally one of the most painful images to ever be captured on film. You like every member of the band so, when they get hurt, you feel their pain as well. Though Yelchin may be the main character, the other members of the Ain’t Rights — played by Alia Shawkat, Joe Cole, and Callum Turner — all make a good impression as well. You want them all to escape and dread the realization that not all of them will. As for the owner of the club, his name is Darcy and he’s played by Patrick Stewart. At first, it may sound like stunt casting. Patrick Stewart as a Neo-Nazi? But interestingly enough, Darcy doesn’t really seem to care about ideology. Instead, you get the feeling that he realized that there was money to be made by catering to racists so that’s what he decided to do. When he barks out orders and demands that the members of the band be killed, his main motivation seems to be pure greed. If the band escapes and reports the murder, he’ll lose his club. Stewart gives a chilling performance. When he first appears, you do think, “Hey, it’s Patrick Stewart!” But, within minutes, you forget who is playing him. He becomes Darcy and you’re scared to death of him and his followers. Green Room is an incredibly intense and scary film. It also features perhaps the best performance of Anton Yelchin’s career. Green Room stands as a testament to a talent taken too early. Prepare To Cringe Your Way Through The Red Band Trailer For Green Room! Green Room is about a punk band who finds themselves fighting for their lives against Patrick Stewart and a bunch of Neo-Nazis. The red band trailer (which you can watch below) is seriously intense! Now I have to admit that I’ve reached a point of exhaustion when it comes to film violence but I’m still going to see Green Room because it was directed by Jeremy Saulnier, who previously directed the brilliant (and unapologetically violent) Blue Ruin. Saulnier’s involvement promises that, at the very least, Green Room will be a hundred times better than Kevin Smith’s Red State. Well, all good things must come to an end and here it is. This is the final entry in a little series that I like to call Embracing the Melodrama. For the past two weeks, I’ve been reviewing, in chronological order, 60 of the most and least memorable melodramas ever filmed. We’ve looked at everything from films that were nominated for (and occasionally won) Oscars to films that played in a few grindhouses and drive-ins before disappearing into obscurity. We’ve reviewed big budget spectaculars and movies that were apparently filmed for less money than I typically spend during a weekend shopping spree. I hope that you’ve enjoyed reading these reviews as much as I’ve enjoyed writing them. If I’ve introduced you to a film you previously did not know or if I’ve inspired you to track down and watch an old classic, then I’ve accomplished what I set out to do and I’m happy. We started this series by looking at a film from 1916 and now, we end it with a movie that was released into theaters just a few months ago. 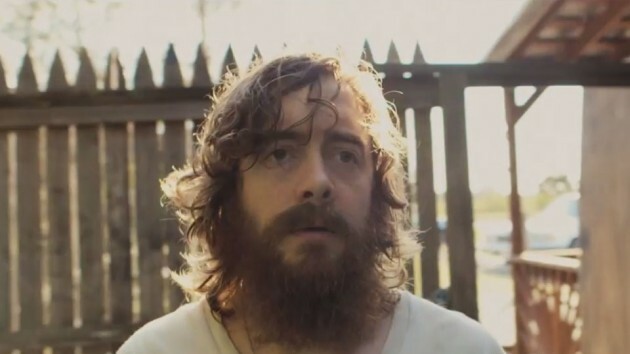 That film is Blue Ruin and, if you haven’t seen it yet, you really should. 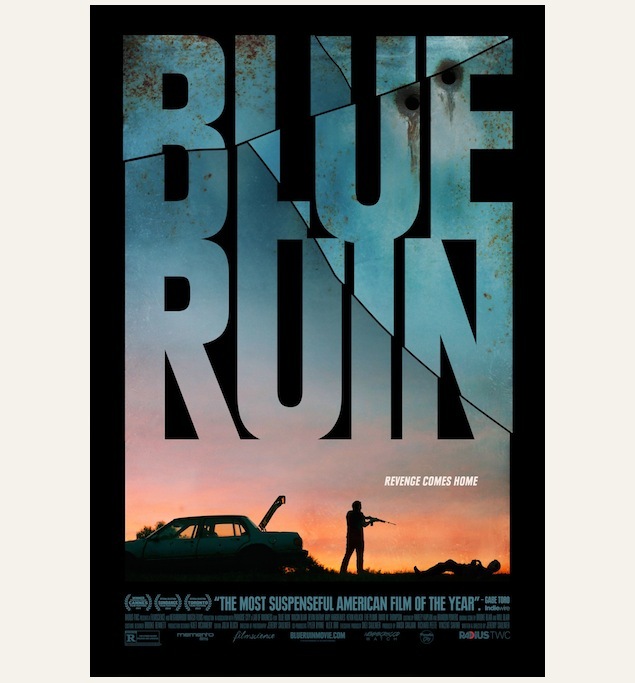 Now, I want to be careful just how much I tell you about Blue Ruin‘s story because, much like the thematically similar Cold In July, Blue Ruin may start out like a standard thriller but it soon moves in unexpected and surprising directions. It’s not so much that the film’s plot is unpredictable (in fact, one of the film’s strengths is that the story told is essentially a simple one) as much as it’s the fact that the film adds an element of ambiguity to that plot that forces you to reconsider all of your preconceived notions. 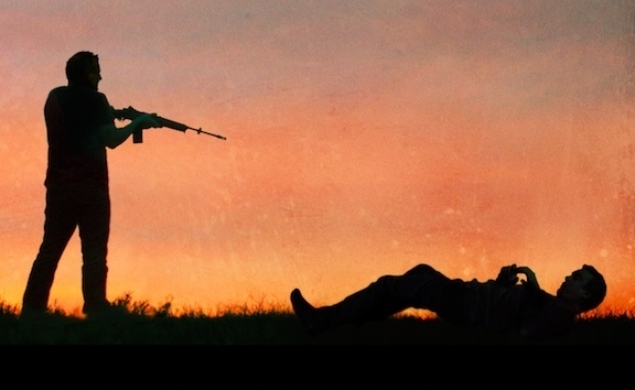 Blue Ruin is a revenge film for people who like to think. Blue Ruin opens with the bearded and clearly unstable Dwight (Macon Blair) going through trash cans and dumpsters in search of food. Dwight lives in his filthy car and it quickly becomes obvious that, despite Dwight’s disheveled appearance, he’s not really much of a threat to anyone. Instead, he simply wants to be left alone. However, one day, Dwight is approached by a friendly police officer who tells him that a man named Wade Cleland has been replaced from prison. The suddenly motivated Dwight responds by driving his car to the prison and watching as Wade is released. Dwight than manages to get a knife (after first trying to steal a gun and failing so completely that you can’t help but feel sorry for him) and goes to the small country bar where Wade and his family are celebrating his freedom. Dwight manages to get into the club and, after a brutal fight, fatally stabs Wade in the temple. The rest of the film deals with both the reasons behind and the consequences of Dwight’s actions and it would not be right for me to spoil the film any more than I already have. Let’s just say that neither Dwight nor the Clelands turn out to be quite who we believed them to be. The crimes of the past aren’t quite as clear-cut as either Dwight or the Clelands initially assumed. All that is clear is that now that Dwight has taken his revenge, the Clelands now feel the need to take their own revenge. It’s an endless cycle that’s made all the more complicated by the fact that neither Dwight nor the Clelands are as good at this whole revenge thing as they think. Chances are that you’ve never heard of Macon Blair. I hadn’t heard of him until I saw him in this movie. But, obscure or not, that doesn’t change the fact that, in the role of Dwight, Macon Blair gives one of the best performances of the year so far. He turns Dwight into a sort of mentally unstable everyman and, as a result, Dwight is a truly memorable and unexpectedly poignant lead character. It’s interesting that 2014 has seen the release of several films that feature unlikely and morally ambiguous protagonists dealing with violence, revenge, and secrets in the South. Blue Ruin joins Cold In July and Joe as one of the best films of 2014. And it also provides a high note for which to close out Embracing the Melodrama.